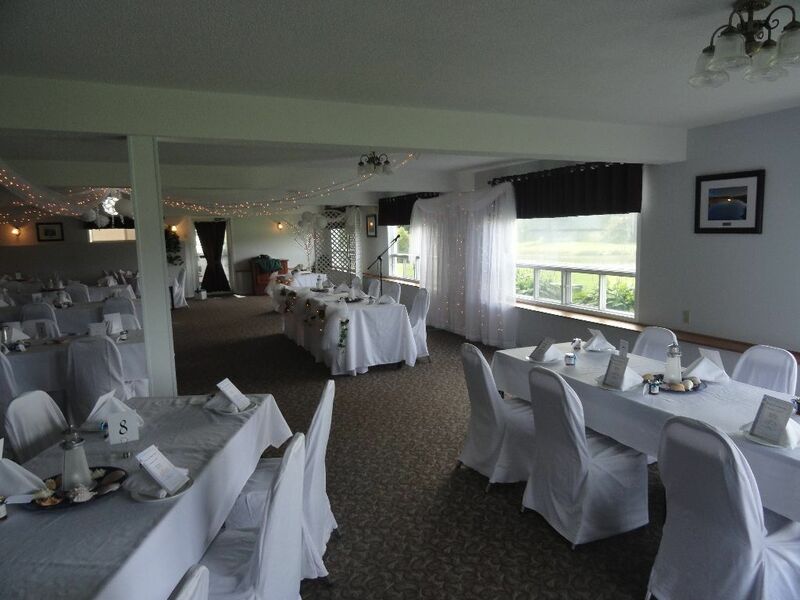 The peaceful view of The River Clyde nestled among the rolling green hills of New Glasgow makes New Glasgow Lobster Suppers the perfect setting for weddings, reunions or group functions. Our facilities include choice of two rooms available for private functions as well as non-private. 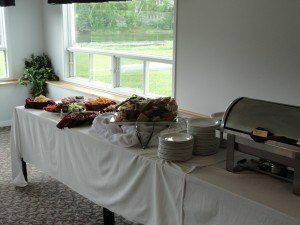 We offer In-House Catering in addition to our full service meals allowing us to match the food to the mood of your event. 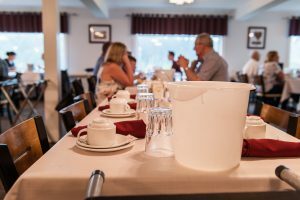 The Glasgow Room is our ground level dining room with convenient wheel chair access and private access from 2 entrances. Complete with air conditioning, private bar, wash-rooms and a lovely view of the River Clyde. 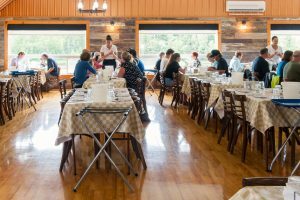 It can accommodate upwards to 150 people comfortably and is an ideal location for small corporate function or a family reunion. This room is available for Private functions from the middle of May to early July and for September & October. 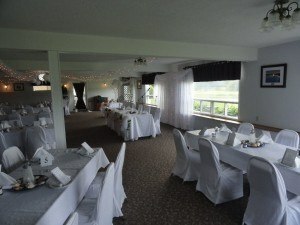 The Clyde Room is our main level dining room and can accommodate upwards to 350 guests. A location like no other. Air conditioned, Original hardwood floors, beautiful picture windows with plenty of room for large reunions, awards ceremonies or weddings. This room is available for Private functions from the middle of May, June, September and October. We would love to share in your special day, creating the dream day you have always imagined. We would work with you to customize your menu, your design and the flow of the event making sure your day goes as smoothly as possible. We could also suggest decorators or photographers who are familiar with us and the New Glasgow area. Our menu items are just suggestions and we would love to sit down and discuss your ideas. A deposit is required at time of booking for all weddings. Dinners include fresh baked rolls, coffee and tea served with dessert. Thank you for choosing us to make your event a memorable one. We are looking forward to welcoming you and your guests to New Glasgow, PEI. Here are a few notes we would like to share with you, when planning an event with us. Guaranteed number for meals is required 48 hours in advance of the event. We will set for 10% over confirmed number. Please advise us on any food allergies or special dietary requirements in advance. PEI Liquor Laws do not permit guests to bring in their own alcohol. Liquor has to be purchased and served by us. All alcohol must stay on premises. We would love to hear from you about the possibility of holding your next event or meeting at New Glasgow Lobster Suppers. Please fill out this form and we will get in touch with you shortly. If known, please include possible dates and the approximate number of people in your group, as well as other information that will help us to serve you better. No / I've already subscribed.